That’s right! We are taking the Latham still on the road. Our lease in Newton Plaza was up and it was time for a change of scenery. 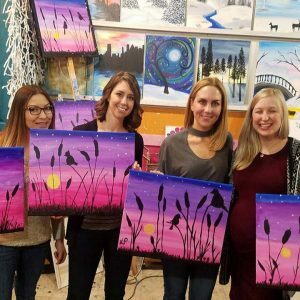 We are looking forward to traveling far and wide to different venues in the area from your office, favorite restaurant or even your own backyard! 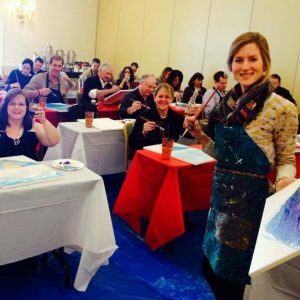 If you are a huge fan of our in-studio events, visit our Original Paint and Sip studio in downtown Saratoga Springs or on Church Street in Burlington, Vermont. You can view our calendar here! 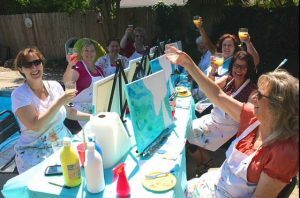 Paint and Sip Studios offers innovative travel events, corporate team builders and intimate home parties! Prices vary depending on the location and venue of the event. We cater each package to your unique need. Call or E-mail us today to get the paint and sip party planning underway!